Having a Bilbo Baggins Lego house set of my own has been something that I literally dreamed of. That has finally been made possible thanks to Lego. This is not a review by a skilled brick builder, nor by someone who has been paid or asked to do a review on the item. This is a detailed look with photos at the Unexpected Gathering Lego set (#79003) by a real fan of both the book and the movies. Whether you're thinking of buying Bilbo's and then Frodo's magnificent Bag End Hobbit Lego home for yourself as a collectible or for someone else who loves what Tolkien created, here's an in-depth review which is packed with original photos and comments on building. 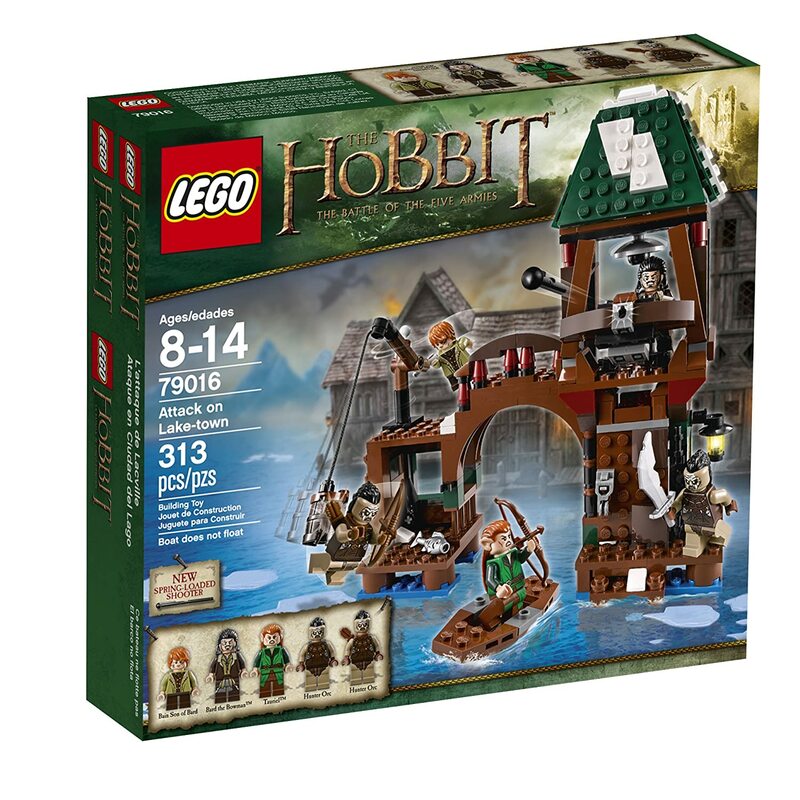 An Unexpected Gathering Lego Set 79003 which is Bilbo Baggin's Bag End Hobbit home reviewed in full. 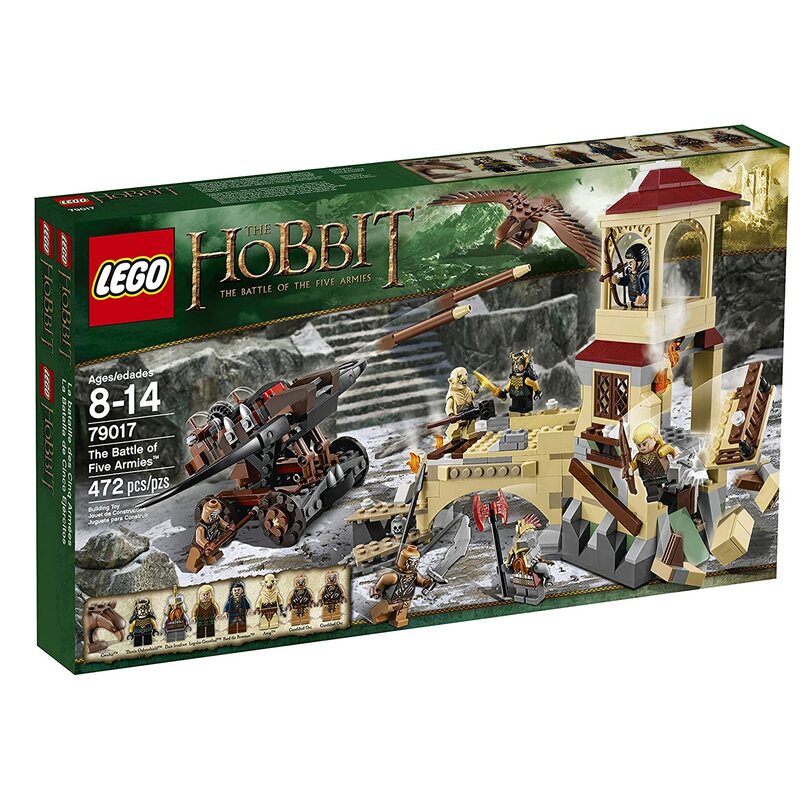 Is this the best Lego brick house ever, read to find out more on this Tolkien inspired Lord of the Rings set. Lego building bricks do not naturally lend themselves to the creation of the home belonging to Bilbo Baggins with its big round door, round windows and tunnel-like interior. It is round and built like a tunnel because it is set into the side of a hill. 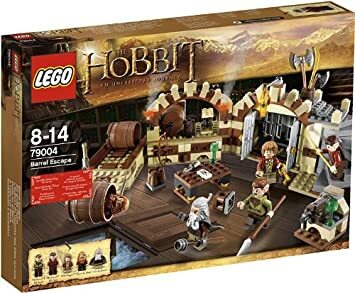 I had my concerns about how Lego could pull off the iconic Bilbo Baggins home even though we all know the quality of this brand. But somehow they managed something really fantastic. I am so glad I collected this wonderful item. This was a photo I took minutes after opening the box up. Most times with Lego sets, I'm disappointed at how little you get for the cost of the item. Not with this one. I was very taken aback with 4 large (numbered bags) of bricks, not 1 but 2 large instruction manuals, some base plates and stickers. When I first saw the amount of bricks, my first impression was wondering how I was going to manage. After all, I'm not particularly skilled at building things and I'm just your average middle aged female fan of all things Hobbit. I was puzzled by the seeming lack of base plates too since I'd assumed that there would be one large base plate to build everything on. So, just in case you wonder the same thing when you get it, there is no large base plate because you are building it up yourself as you create Bag End. Gandalf is in his grey costume which is applicable to The Hobbit story. They've done a good job on the Gandalf Lego MiniFigure which comes with his travel cloak, wizard staff and pointy hat. The hat unfortunately masks the bushy grey eyebrows on his face if you push it down properly in place and is also easy to knock off as my young daughter discovered while playing. The cape is great but it does get in the way if you want Gandalf to sit down. The Bilbo minifigure you get is the young one played by Martin Freeman in An Unexpected Journey. He is dressed in his standard shirt, pants and suspenders (braces) that you see him wear while at home in Bag End in Hobbiton. Lego did a fantastic job on Bilbo since it really captures the character entirely and he comes with 2 faces depending how you twist his head. In fact, most of the Hobbit minifigs look better than the larger toy figures you can buy. He has a happy expression and a worried expression which he wears when Gandalf suggests going on an adventure and that he has most of the time the dwarves are in his home. And he has his Sting sword as an accessory too. Balin also has two expressions: a half amused look and a complete scowl. He has been given a dwarf style sword. You can tell the difference between the squarer dwarven style blade and Bilbo's elven-made sword which is more elegant. Bofur comes with a smile and a scowl. I think the smile is much more appropriate since he likes to joke around and keeps everything light-hearted. His hat is awesome and he gets his mining mattock, pick axe, weapon. Tattooed Dwalin comes with one fierce expression which is about right and you get to build his weapon which is the huge war hammer. Bombur gets a cooking pot and a sausage. Alternatively, you could use the two knives that you also get included in the set. He has a normal expression and a surprised expression (the lifted eyebrows) which looks like his face in The Unexpected Journey movie part when Bofur throws him a sausage and Bombur's chair collapses. If you want to collect all 13 dwarves from The Hobbit the minifigures are spread out across different sets. You can buy them individually too but they can be pricey for what you get. There is much better value in buying the complete play sets rather than just the minifigures. 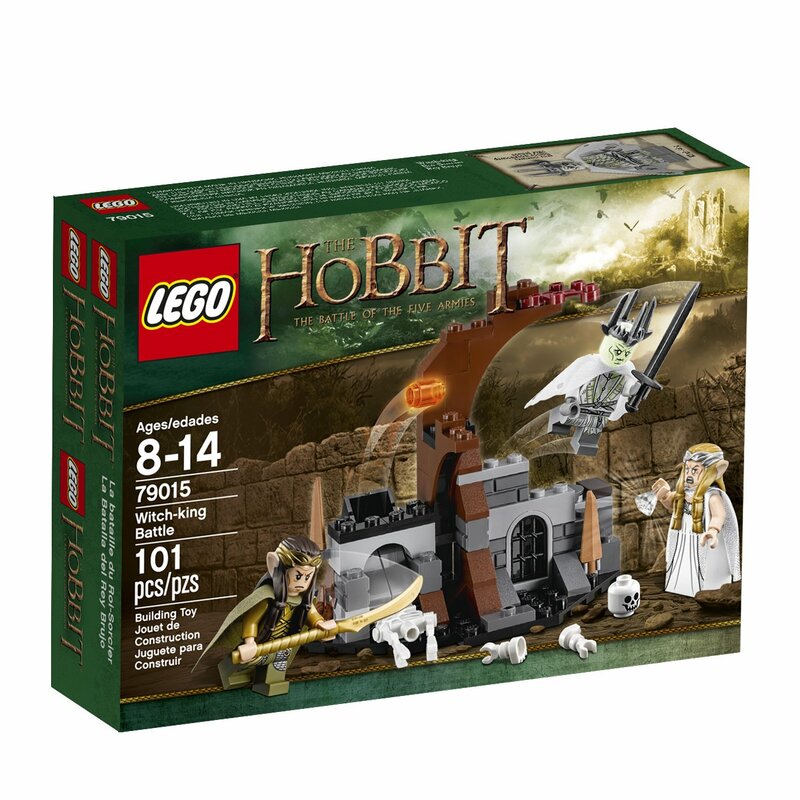 Here's some other Hobbit Lego sets they come in. Sometimes you'll get duplicate figures although they may be dressed differently or have different items and facial features. 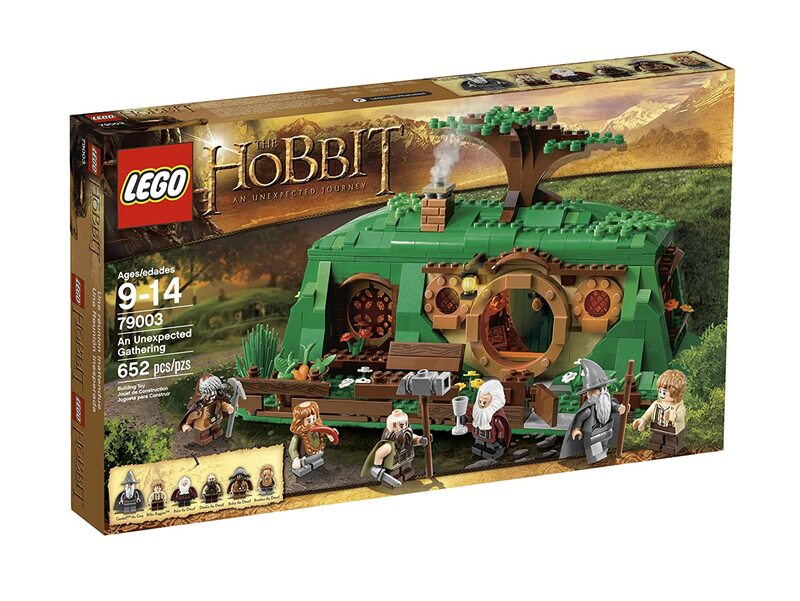 Lego are giving you a entire set to make your very own Hobbit hole but what does that mean exactly? You get to create the whole frontage of a house based on Bilbo's Bag End home and this includes a fence, moving gate, front yard with flowers and vegetable patch plus a wee little bench. You can re-enact the scene from the movie where Bilbo is daydreaming about his past adventures and then he's back 60 years earlier sitting there when Gandalf arrives. The house looks like it is set into a hill with the grassy roof and tree growing on top. And it features the iconic green door with a round brass door knob set in the middle. It even has the special rune that Gandalf inscribes on the door so the dwarves can find their way there. That's just the front! You then get the back aspect which is cut away so you can see the interior of the house from the other side (collectors will enjoy being able to display the front or back when popped onto a shelf) and this has some classic features. There's a very quaint fireplace, book stand where Bilbo's book There and Back Again sits. Obviously the young Bilbo hasn't yet started writing about his adventures but if you're role playing the older character then this is an essential prop. There are shelves, windows that open, a long table with food accessories, glasses and plates and Bilbo's treasure chest with his sword called Sting. The makers have designed this set well because you can easily play Bilbo as the young character who hasn't been anywhere and whose weapon of choice is conkers. 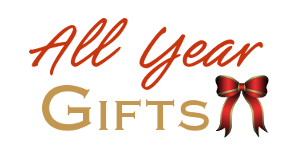 Alternatively, play with it from the point of view of the older Hobbit who has tasted his fair share of adventure and brought back his magical sword from his travels as well as treasure. I had read online how some people built this Unexpected Gathering set in just 2 hours. I'm afraid that it took me a good 4 hours. However, I was taking photos all the way through and I was enjoying making Bilbo's home up too so what was the hurry. I started in the afternoon and, after stopping for a break halfway through, had it completed in the evening. You could easily split this up over a couple of days to make a good weekend project. The image shows the base that is made out of lots of smaller flat plates. I have no idea why the makers didn't just fashion one suitably sized base plate for the entire set to be built on but it did make it interesting to see how it all came together. As I'm not an experienced Lego creator, I was concerned as to whether I could do this project without any help. I'm just used to making smaller sets up for my young daughter so I have never attempted anything this size before. However, the instructions were excellent. You get 2 large color manuals which takes you step-by-step with images on how Bag End is made up. There were only a few parts that I messed up. But I got it fixed. The best parts of building were making the internal fireplace. It does look really good with the 'glowing' coals, the black grate and the old-fashioned stone look bricks. We all oohed and ahhed when that was constructed. The Hobbit door too was a cause for excitement as that went into place. I made very sure that the rune was the right way up although I don't think it could have gone in a different way. And creating the front yard with the bench, flowers and fence was real fun. That's when it started to look like an actual Hobbit house. The worst parts of building were the windows. The first time I put them in, I quickly realized that I had the black interiors closest to the outside of the house which meant that they would not open. So I painstakingly had to take each window out, turn them around so the black middles were nearer to the interior of the home and re-build. But fixing this was worth it because I can now swing the windows so they open inwards. Better than not opening at all. The other difficult part were the stickers. These are small, fiddly and hard to get on well. You get some stickers for the bench, the fence panels, some maps and Bilbo's journal book. These are worth taking time with to stick them on as level as you can. Once I had the stickers in place, I rubbed them down well with a soft cloth to remove any air bubbles. Unfortunately one sticker shows a bit of my finger print! But there is nothing to be done about that. When I bought the set, and I saved up to buy it, I did wonder if I was being silly. I mean what does a middle aged woman want with a Lego set. But as a big fan of Hobbits and their idyllic lifestyle, I could not resist the temptation in the end. So was it worth it? Completely! Not only did I enjoy every minute of the 4 hours in which I spent building the set, I now have a charming and visual reminder of the book and the movie that I love so much. Currently it is on display in prime position in our living space. I can tell you that adults and children alike are intrigued by this piece and delighted at all the charming features of this beautiful house. It's a talking point for sure and at last I really do have a Hobbit home of my own. Are there any downsides to the Lego set? Most of the set is pretty robust. It is designed so that you can take the grassy hill roof off or leave it on. I prefer to leave it on since I enjoy looking at it rather than really playing with it. But there are a few pieces which are easily knocked out of place which you should be aware of if you let young kids loose on it - don't is my answer. The fence is a little bit fragile, especially the lone section at one end which my daughter has knocked down even with my supervision. The iconic Hobbit door could really do with 2 hinges on the interior to make it more stable. And the food accessories are very easily knocked from the table. Gandalf's hat too does not want to stay put. These are minor, and probably very picky, things that I have found with the item. I am not so fanatical that I mind that the windows are too high for the Hobbit Bilbo to look out of unless climbing on a chair. I appreciate just how tricky it must have been for Lego to make something that even resembles Bilbo and Frodo's home. It's no mean feat. Now I just wish they'd make some add-ons like a bedroom, the pantry and other pieces so I can expand. But I guess I will have to learn to be more proficient at building myself. This image shows the front of the completed set where I have positioned Gandalf as he is applying the rune to the front of Bilbo's front door. Somewhere inside, Bilbo is worriedly looking out of the window and wondering what that confounded wizard is up to. This is the most iconic Tolkien set created. Bag End features at the start of both The Lord of the Rings and The Hobbit movies. Although now discontinued, it may well be available for a while yet but no one can be sure how long it will be sold for. If you're a fan or you're buying for someone who is, don't miss this opportunity to get hold of a fabulously designed fantasy building. I've been a big fan of Tolkien's books based around the adventures of little people who we sometimes refer to as halflings. Perhaps that is because I am also quite small myself.